Before being born into this world, the babies are formed and nurtured in the mother’s womb where the environment is nurturing warm as well as moist. As soon as they are born, they enter an environment which is altogether different. It is quite chilly and indeed very different from the comfort of the mother’s womb and its ever-present warmth. It is for this very reason that the nurses immediately cover the tiny heads of the newborn babies with baby hats which are both extremely precious as well as important for the babies. Read our latest guide about the best baby pajamas. However, as the baby is allowed to leave the hospital after the needed care, the babies might or might not be required to wear the baby hats unless it is the fall or the winter season. In case the house is cold, wearing of a baby hat would also be required. For a healthy baby, it is, in fact, an option. The key to whether the baby should wear a baby hat or not is the comfort level of the baby. If the baby feels comfortable wearing the baby hat, it is okay to make it wear one, however, if the baby appears flushed, overheated, or fussy, it is better to take it off and check whether the baby feels comfortable. Read our complete guide about the best baby hooded towels. In fact, the baby hat is necessitated by the simple requirement that everything that touches the baby e.g. a stethoscope, blankets, or even a human hand needs to be warm. Babies do tend to lose heat quite easily and according to experts, it is the baby’s head that loses a lot of heart as it is exposed to colder temperatures. For a full-term infant even, the risk of chill can carry a lot of consequences and some of these could be serious. For preemies, the risk is in fact even higher. If the baby is made to wear a hat, this protects the heat from escaping through its head. This way, the baby is allowed to maintain a healthy body. The baby is thus able to maintain healthy body temperature in the range of 98.1 degrees to 99.5 degrees Fahrenheit. This can continue until the baby is itself able to thermoregulate and maintain thermal stability on his own. Those infants who are born with a low weight at birth and those who are prematurely born usually display a high level of susceptibility to lose heat from their bodies as compared to full-term infants. These babies can go through a rather rapid fall of temperature if not taken care properly. In order to protect such babies from serious hypothermia-related physiologic consequences, it is extremely important to make the baby wear a hat. This fact has been noted by the American Academy of Paediatrics. There are even child care organizations which warn parents against giving a bath to prematurely born infants for many weeks unless it is absolutely necessary to do that in order to remove harmful infectious material at the time of birth. The newborn baby needs to be kept away from pleas where there is a draft and once it is on its way from the hospital to home, it is important to protect it from environmental effects which can cause the baby to suddenly get too warm or too cold. For this reason, as the baby leaves the hospital, it is always good to make the baby wear a nice, stylish and lightweight baby hat to protect it from any possible source of chills like the car or the house. The hat is in fact not enough. The baby should also be dressed appropriately and must not be underdressed or overdressed. After giving the baby a bath in lukewarm water, it is always recommended to immediately dry its head and cover it with a hat to protect it from dampness which can sap the baby’s body heat. Both environmental control as well as a hat are necessary to keep the baby happy and healthy. This also gives the parents and the caregivers peace of mind regarding the well-being of the newborn. The baby winter hats normally have a great design and the shape is literally perfect. such hats are available in many attractive colors and look extremely cute on babies. it is, however, important to make sure that the baby winter hat is made out of original material and not fake material. These are considered as the best quality hats for babies and are also quite affordable. These caps or baby hats are extremely easy to wash and also look pretty good. These are made in different types of patterns as well as colors and shapes. These caps are ideal for use on babies from birth to 2 years of age. These can be gifted as they are handmade and look extremely cute on babies. This type of baby hat brings a lot of fun to the babies. It is available in different sizes as it caters to new burns as well as to older babies. Such hats are available in many colors, sizes, and shapes to suit the age and size of the babies. These are baby hats with very attractive multi-color designs and are sometimes made out in rainbow colors to go with the baby’s outfit. These can be gifted to the baby as a shower gift. Many of these are so attractive that they serve as a photography prop. The beauty of the baby is nicely brought out in these hats as they emphasize on the angles. They possess very attractive patterns and are targeted to make the baby look as cute as possible. As the name suggests it’s a nice and lightweight baby hat that protects the baby from overheating when the baby is required to pass through areas that are sunny and could overheat the baby. Best Baby hats are made out of such materials like 100% cotton so that they can keep the baby cozy and their fabric is soft and smooth. Moreover, best hats are available in various incremental sizes so that the parents can choose just the right size. Good baby hats have got a certain level of stretchability as well to keep the baby comfortable. Some good baby sun hats are made out of lightweight 100% polyester as well. Often a mix of knitted cotton and Spandex are also used. In order to make them look cute, the best baby hats have got very nice patterns and designs as well. Elasticity is another important factor present in high-quality baby hats. Breathability is another virtue which is present in baby hats made out of cotton. They have the ability to absorb sweat and last but not least, they are quite stylish. Some of the hats are exclusive for girls and their designs and colors make them look extremely delicate and cute. The most important element to consider is that a good baby hat would keep the baby extremely comfortable at all times. The Baby Boys’ 5-Pack Caps from Gerber has been designed and constructed with the sole purpose of ensuring that the newborn or the little one would be extremely comfortable throughout the day and with its head covered would remain totally thermoregulated with really overheating or underheating. The design of this very attractive baby hat has been coordinated with other Gerber baby essentials. the baby hat has been designed to include a ribbed cuff which ensures a perfect fit for all babies who use this hat. 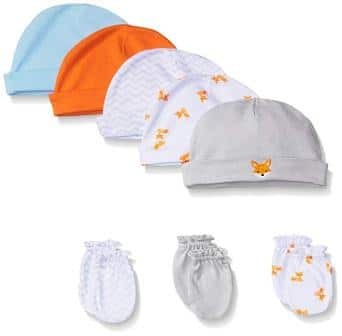 The Baby Boys’ 5-Pack Caps from Gerber has been constructed out of 100% cotton which sets it apart from many other baby hats which are made out of fake materials. The cotton content ensures a high level of breathability as well as sweat absorption which keep the moisture wicked away from the baby thus, keeping the baby extremely comfortable and happy throughout the day. The Baby Boys’ 5-Pack Caps from Gerber is extremely easy to maintain as it can be easily machine washed. There is really no need for any other expensive cleaning method like dry cleaning, etc. After the wash, the baby hat is simply tumble dried or it can even be air dried. The baby hat is adjustable and for this purpose is equipped with a ribbed cuff which allows for a perfect fit. It is however recommended not to keep the hat too tightly fit to the baby. The use of the cotton material ensures that the baby hat is both stretchable and has got the required elasticity. The Baby Boys’ 5-Pack Caps from Gerber hat boasts embroidery details and looks very cute on the baby boy. Each of the baby hat in the pack has a different pattern and color. Some of the patterns are multi-colored and offer a lot of attraction to both the baby as well as the onlookers. The baby hat is made out of 100% cotton and brings to the baby all the benefits of 100% natural cotton. It is extremely breathable and absorbs perspiration. The baby hat is available in many colors and patterns which make it very attractive for the baby and the grown-ups as well. It might not have the ideal level of shrink-resistance or fade resistance. The Baby Toddler Fleece Lined Winter Earflap Beanie Cream Bear Hat from JAN & JUL has been designed and manufactured by Twinklebelle Design Inc supplies as a part of the ‘rain or shine’ clothing and it is supplied to many boutique stores all across the United States and Canada. 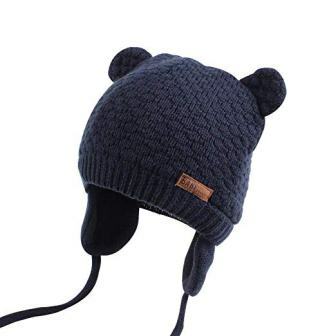 The Beanie Cream Bear Hat is extremely soft and is simply adorable. It has the capacity to keep the little one aptly warm as well as coy on chilly days. 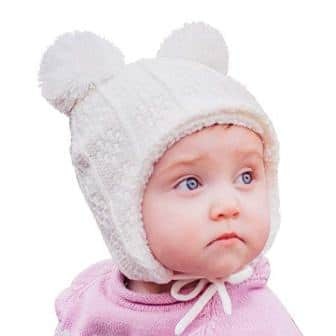 The Baby Toddler Fleece Lined Winter Earflap Beanie Cream Bear Hat from JAN & JUL has been constructed out of high-quality acrylic and polyester. It provides complete coverage of the baby’s head, neck as well as ears. The hat has got a very soft and cuddly fleece lining and it makes the hat toasty warm for the baby. As it has got a high-quality stretchy knit, it is usable for a very long time. The Baby Toddler Fleece Lined Winter Earflap Beanie Cream Bear Hat from JAN & JUL is easily maintained and cleaned when required. It can be machine washed in cold water without the use of any bleach and can be tumble dried at low heat. It can even be air dried. There is no need for any expensive cleaning methods. The Baby Toddler Fleece Lined Winter Earflap Beanie Cream Bear Hat from JAN & JUL is able to stay firmly in place with the help of chinstraps. This is valid for those hats which have the earflap design. The design is so cute that it adds a lot of fun and style to any baby outfit. This hat is simply great to have for both the fall and winter season. The baby hat is made out of high-quality acrylic and polyester. The baby hat is lightweight and highly durable. It is easy to maintain and clean when required. The baby hat is not as breathable as one made out of 100% cotton. The Baby Girls’ 5-Pack Caps from Gerber has been designed and constructed to provide the much-needed warmth to the infant after its birth and also against chilly weather or air drafts. It allows the baby’s head to remain warm at just the right temperature all day along. This keeps the baby happy and healthy and the parents can stay assured that the baby is not losing heat from its head. The baby hat offers the baby ideal protection from cold after the baby is born. The Baby Girls’ 5-Pack Caps from Gerber has been constructed out of 100% cotton and utilizes a pull-on closure. The use of cotton ensures very high breathability and it wicks away moisture from the baby’s head throughout the day. this means that the baby would not be bothered by any sweat throughout the time the hat is on its head. The cotton hat provides a lot of comforts as it is extremely soft. IT can always be gifted to the baby as a shower gift. The Baby Girls’ 5-Pack Caps from Gerber is very easy to take care of and maintain. No expensive methods like dry cleaning are required as the baby hat can simply be washed in cold water in a washing machine. It can then be tumble dried on low heat or even air-dried. It is recommended to not use any bleach during washing. The Baby Girls’ 5-Pack Caps from Gerber has got a total of 5 caps in the package for the baby. The colors and patterns are suitable for baby girls and make them even more attractive and cute. The baby hat has got a soft cuff edge and this allows the hat to fit quite snugly but comfortably on the baby’s hat. The baby hat is highly breathable due to its construction which uses 100% cotton. The baby hat is extremely easy to clean and can be easily machine washed. The baby hat has got ideal colors and patterns for baby girls. The Baby Knit Infant Toddler Beanie Cute Babies Hat from Century Star has been designed and constructed to be highly durable as well as comfortable. It is extremely soft on the skin of the baby’s head and as such it keeps the baby extremely comfortable as well as warm throughout the day. The baby hat is available in a variety of different colors and thus, the parents can select the one that looks the best on their baby. The Baby Knit Infant Toddler Beanie Cute Babies Hat from Century Star is constructed out of very high-quality cotton and therefore, it is extremely comfortable as well as durable. The soft cotton does not cause any pressure on the head of the baby. 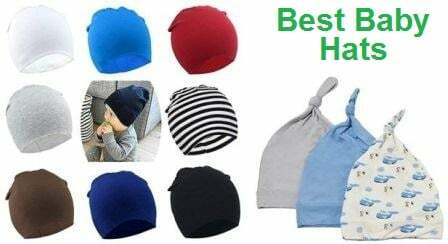 The beanie knit hat is just ideal for infants and it makes them look very cute besides keeping them comfortable. The parents can select the baby hat that suits the outfit of the baby. The Baby Knit Infant Toddler Beanie Cute Babies Hat from Century Star is very easily maintained as it is constructed out of premium quality cotton. It does not require to be dry cleaned and there is no requirement for any other expensive cleaning method. The baby hat can simply be washed in cold water in a washing machine and then tumble dried on low heat or air dried. There is no need to use bleach as that would harm the fabric of the hat. The Baby Knit Infant Toddler Beanie Cute Babies Hat from Century Star is ideal for giving as a gift to newborn babies or infants at such occasions as Christmas, Thanksgiving or on some other occasion. The same sie of the baby hat easily fits infants aged between 0 and 2 years. Thus, the hat has got a lot of flexibility as well as versatility. The baby hat is highly breathable as it is made out of cotton. The baby hat is easy to maintain and care for. The baby hat is highly flexible and versatile. Availability of only one size for all might make it too large for some babies. The Earflap Beanie Baby Hat, Warm for Fall Winter from XIAOHAWANG has been designed and constructed as an extremely cuddly and super soft baby hat which has the capability to keep the baby very cozy and warm throughout the day. The design of this baby hat is also very cute and adorable and it adds a lot of fun as well as style to any baby outfit. It is an ideal baby hat to have for the baby in both the fall season as well as in the winter season. The Earflap Beanie Baby Hat, Warm for Fall Winter from XIAOHAWANG has been constructed out of high-quality materials and is composed of 50% cotton as well as 50% acrylic fiber. The baby hat is further lined with 100% organic cotton. This is coupled with premium tailoring and thus, it provides the newborn and the infants a very soft and comfortable feel on their heads. The inside, as well as outside of the baby hat, are both extremely soft and comfortable. The Earflap Beanie Baby Hat, Warm for Fall Winter from XIAOHAWANG has got a high level of elasticity as well as a high degree of flexibility. The knit is superb in terms of its stretchiness and thus, it allows it to be used over a long time. 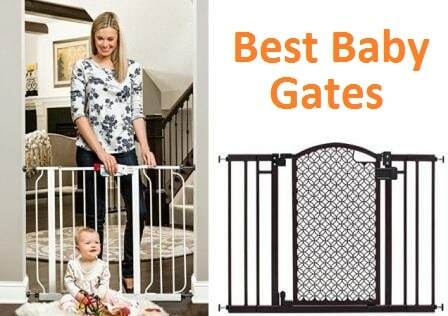 Its beautiful design adds a lot of fun in the life of the baby as well as that of the parents. It does not employ any formaldehyde or azo in the dyes and as such only green raw materials have been utilized in it. It brings forth the advantages of both cotton and acrylic. It is highly durable but also breathable and wicks moisture away from the head. The baby hat has got very beautiful designs which make the baby look very cute. It might smell a bit upon unpacking. The Baby Kids Winter Warm Fleece Lined Hats from REDESS have been designed and constructed for keeping the newborns and the babies totally protected from cold in the winter season. The hat is large enough not just for the baby’s head but for its ears as well. The baby is able to get the best possible and most comfortable experience with this highly durable and extremely soft baby hat. The Baby Kids Winter Warm Fleece Lined Hats from REDESS has been constructed out of highly durable materials which are extremely comfortable and at the same time are eco-friendly materials. The baby hat is therefore extremely lightweight and does not cause any pressure on the sensitive head of the baby while keeping the baby adequately warm as required. Both manmade fleece and knitted yarn are employed in the manufacture of this baby hat. The Baby Kids Winter Warm Fleece Lined Hats from REDESS is available in only one size for both boys and girls aged between 0 and 2 years. It can be washed by hand with cold water and can be air dried. No bleach should be used while washing to avoid any possible damage to the baby hat. Moreover, no hot water should be used to wash it either. The Baby Kids Winter Warm Fleece Lined Hats from REDESS has got an adjustable rubber band which has been built inside the baby hat and this allows the hat to fit perfectly on the baby’s head with a high level of adjustability. This hat has been specifically designed for infants and furry hairball and knitting pattern are employed. This makes the babies look extremely cute when they wear this baby hat. The baby hat is extremely comfortable and warm. The baby hat has got adjustability. The Baby Winter Warm Knit Infant Beanie Cap from oenbopo has been designed and constructed for babies in the age range of 0 to 3 years and it is suitable for both girls and boys. It is extremely soft but is also highly durable at the same time. The baby hat is very cozy. The age range is just for reference and the purchasers are required to get the right size for their babies. The Baby Winter Warm Knit Infant Beanie Cap from oenbopo has been constructed and crafted out of knitting yarn and the baby hat is available in many colors such as khaki, red, white, black and grey. Regardless of the color of the baby hat, it looks extremely adorable and cute on babies. The reachability in the material is very high and the hat can be easily stretched. The package includes the hat only ad there are no accessories included in it. The Baby Winter Warm Knit Infant Beanie Cap from oenbopo is quite easy to clean and maintain over a long period. It is a durable hat and maintains its properties after wash and dry cycles. It is recommended to wash it in cold water by hand and not use any hot water or bleach to avoid any possibility of damage. The hat can then be air dried. The baby hat has got many colors and the parents have a wide choice to select the one that is suitable for the baby’s outfit. The baby hat is ideally suited for use in winter as it keeps the babies very cozy and warm. The baby hat is suitable for babies from birth until the age of 3 years. Some parents might find it a bit big for their babies. The Baby Girls’ 9-Piece Cap and Mitten Bundle from Gerber have been designed and constructed as an extremely beautiful set of 9 caps and mittens which have very beautiful colors as well as designs and patterns suitable for newborn girls as well as baby girls up to the age of 6 months. All of these are exclusively designed to keep the baby girls very cozy and warm throughout the time the baby has got the cap or mitten on. The Baby Girls’ 9-Piece Cap and Mitten Bundle from Gerber have been made out of 100% high-quality cotton which makes the baby hat and mittens extremely breathable and they have the property of wicking away the moisture from the baby and keeping it sweat-free. This keeps the baby’s head dry and the baby stays healthy, happy and comfortable all the time. The use of cotton also ensures smoothness and softness for the sensitive skin of the baby. The Baby Girls’ 9-Piece Cap and Mitten Bundle from Gerber can be easily machine washed in cold water and therefore, it is extremely easy to maintain and clean whenever required. The baby hat maintains its softness and coziness after several ‘wash and dry’ cycles. It can be air dried or tumble dried at low heat. Bleach is not recommended and it is advisable not to use hot water either. 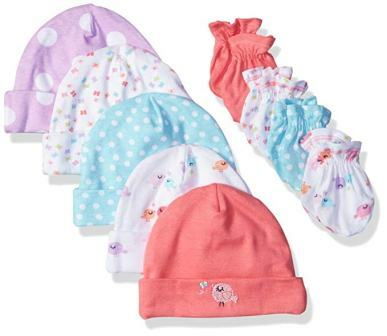 The Baby Girls’ 9-Piece Cap and Mitten Bundle from Gerber are ideal for giving as a gift on the first shower or on other special occasions like Christmas and Thanksgiving. It has got a ribbed cuff which allows a great fit on the baby’s head. Despite the snug fit, the baby hat sits extremely comfortably on the baby’s tender head and does not cause any itchiness, etc. The package has got 5 caps and 4 mittens. The baby hat is highly breathable. The baby hat is very easy to maintain. The baby hat is very comfortable and warm. Hats might prove to be a bit big for some babies. The 6 Pack Toddler Infant, Baby, Kids Hat Beanies Cap from Lotify has been designed and manufactured to serve as ideal gifts for the baby as it is an extremely stylish and versatile beanie and would be fitting well to be given on such occasions as birthdays or on other major occasions such as Christmas or Thanking, etc. 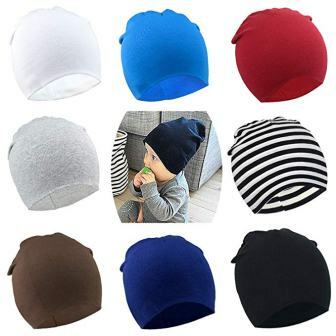 The caps are available in many different colors and thus it becomes very easy to match these with the outfit of the baby. 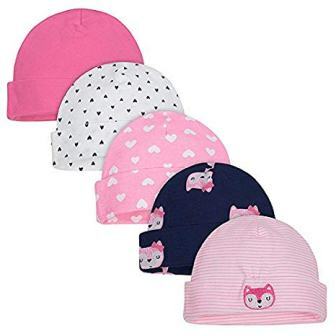 The 6 Pack Toddler Infant, Baby, Kids Hat Beanies Cap from Lotify are made out of very high-quality cotton which makes this cap extremely breathable and soft. It has the capability to absorb sweat and wick the moisture away from the baby’s head to keep it warm and dry. The cap is also extremely durable. It is suitable for infants, babies, and children under 4 years of age. The 6 Pack Toddler Infant, Baby, Kids Hat Beanies Cap from Lotify does not require any expensive cleaning methods like dry cleaning etc. however, it is not recommended to wash it in an aching machine. Instead a hand wash is recommended and the beanie cap needs to be air dried. The user should make sure that detergents, chemicals or any type of bleach are not used in the washing otherwise, it could lead to damaging the fabric of the cap. The 6 Pack Toddler Infant, Baby, Kids Hat Beanies Cap from Lotify is extremely lovely and generous in its shape and it is also quite fashionable. a lot of colors are available in these caps as well as styles. It is extremely easy to put on the baby’s head and it matches the baby’s clothes very easily. It provides the baby with an option to look very stylish as well as trendy. The baby cap is available in many colors. It is made out of cotton and is highly breathable. Some users have trouble with its fit on newborns and infants up to 6 months of age. 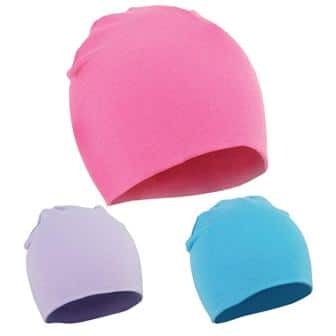 The Organic Bamboo Rayon Baby Beanie Hats, 3-pack from KYTE BABY has been designed and manufactured to be as silky smooth as possible and it is available in a rainbow of colors which are extremely bright. The prints used in these hats are also extremely modern. These hats are made available to the users in 2 different sizes which are premie/newborn and the size for infants 0 to 6 months old. The Organic Bamboo Rayon Baby Beanie Hats, 3-pack from KYTE BABY have constructed out of 97% Bamboo Rayon as well as 3% Spandex. The bamboo rayon provides it with ultra-smoothness and softness which is exemplary and the spandex provides the elasticity requires for a snug fit as it allows for perfect stretchability without a loss of shape. The materials are organic and natural and carry hypoallergenic properties. The bamboo rayon is also obtained in a sustainable eco-friendly way. 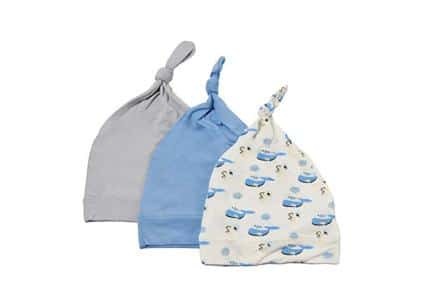 The Organic Bamboo Rayon Baby Beanie Hats, 3-pack from KYTE BABY is very easy to take care of and maintain. It is possible to wash it in a washing machine on a gentle cycle in cold water. Hot water should not be used and using bleach is not recommended either. The baby hat can be either tumble dried at low heat or air dried. No expensive methods like dry cleaning are necessitated. The Organic Bamboo Rayon Baby Beanie Hats, 3-pack from KYTE BABY fit just right on the baby’s head. They have got just the right amount of fit and the right level of locking cute. Many other products available from the manufacturer like the sleep sacks and the blankets with pattern look very well with these baby hats as they easily mix and match. The baby hats are made out of bamboo rayon which is literally unmatched in its smoothness and softness. The addition of Spandex makes the hats stretchable and they provide a comfortable fit. The baby hats are hypoallergenic and are ideal for the soft and sensitive skin on the baby’s head. 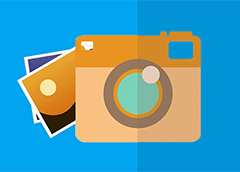 Some users regard the material as too thin. The Baby Winter Hats, Kids Cable Knit Caps from Zando has been designed and constructed as a very beautiful and softly knotted cap for babies which has the capability to protect them from the harshness and chill of the winter season. It is available in many different colors and thus, it becomes very easy to match it with baby outfits. It is made available in just one size which is adequate and comfortable enough for infants as well as children up to 4 years of age. The Baby Winter Hats, Kids Cable Knit Caps from Zando is constructed out of high-quality materials which make it extremely soft and beautiful. The knit enables protection from cold throughout the winter season and keeps the baby’s head at just the right temperature. The knit is thick and ribbed in the form of a pom hat and looks absolutely fabulous on all babies and kids. It adds a lot of pop and fun to the life of both the parents and the baby. 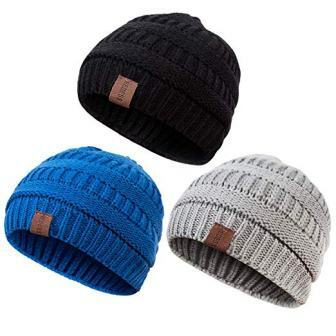 The Baby Winter Hats, Kids Cable Knit Caps from Zando is easy to take care of and maintain. It can go through several ‘wash and dry’ cycles and not lose its glamour and colors. It can be washed by hand in cold water. No bleach or chemical detergents should be used. Moreover, after washing, it can be air-dried. It can serve as a great gift for babies on such occasions as Christmas, Thanksgiving, etc. or as a birthday gift. The Baby Winter Hats, Kids Cable Knit Caps from Zando is a highly stylish and versatile beanie cap and mixes and matches to kid’s or baby’s garments very easily due to the availability of these caps in many different colors. It is made in the United States and is a 100% branded product possessing very high-quality. 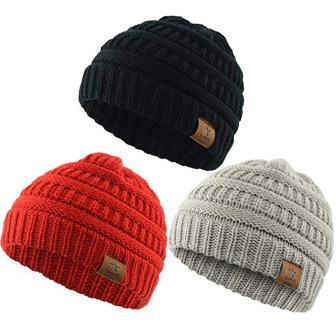 The beanie cap is made out of very high-quality materials. The baby cap is available in beautiful colors and has a beautiful design. The baby hat keeps the baby’s head warm in winter. Appears a bit big for some infants. The 6 Packs Toddler Infant Unisex Baby Hat from Amandir is 100% branded product and has been designed and constructed to keep the baby’s head at the right temperature and is a valuable asset for all parents of babies and kids aged between 0 and 4 years of age. This winter baby hat is a great gift for babies as a birthday gift or as a gift for other occasions such as Christmas, Thanksgiving, etc. The 6 Packs Toddler Infant Unisex Baby Hat from Amandir are constructed out of very high-quality cotton which makes the baby hat highly breathable and very comfortable. The hat is able to keep the baby sweat-free and also wicks away the moisture from the baby’s head. The hat is also extremely durable and lasts for a very long time and serves the baby season to season as it grows. The material of the baby har is very soft on the sensitive skin of the baby. The 6 Packs Toddler Infant Unisex Baby Hat from Amandir is quite easy to take care of and maintain over long periods. It can be washed with a hand in either cold water or slightly warm water as long as the temperature of the water is less than 30 degrees Celsius. It can then be air dried. No bleach or chemical detergent should be used. The baby hat does not require any costly cleaning methods such as dry cleaning, etc. The 6 Packs Toddler Infant Unisex Baby Hat from Amandir is highly fashionable and trendy. It is also functional at the same time and allows for easy mic and match use with baby garments for daily wearing. The manufacturer offers a risk-free purchase as customers not satisfied with the product can contact the company and a solution would be made available within 24 hours. The baby hat is made out of high-quality cotton. It is easily maintained and is washable by hand. Being warm and thick, it might not be suitable for indoor use. The Baby Boys’ Caps, 5 Pack from Luvable Friends has been designed and constructed for use on a daily basis for baby boys regularly. Depending on how it is being used and, on the situation, it allows for protection against either the sun or the cold. The 5-pack has got different types of colors and design patterns and these provide an opportunity to the parents to mix and match them to the baby’s outfit to select the perfect match on all occasions. The Baby Boys’ Caps, 5 Pack from Luvable Friends has been constructed out of 100% cotton which enables the cap to become highly durable and strong enough to last a very long time from season to season. It is also highly breathable and wicks away moisture from the baby’s head to keeps it comfortable and warm. It must be mentioned here that this product is made small and therefore, it is suitable for use by the newborns. The Baby Boys’ Caps, 5 Pack from Luvable Friends is extremely easy to maintain and care for. It is machine washable in cold water on a gentle cycle but no bleach or chemical detergent should be used otherwise, the fabric of the baby cap would be damaged. Moreover, it can be air-dried and it would retain its strength and durability even after several ‘wash and dry’ cycles. The Baby Boys’ Caps, 5 Pack from Luvable Friends has got 2 caps with solid colors and 1 cap with a beautiful design at the bottom. The other 2 caps are patterned. All of these 5 caps have got very beautiful and coordinating designs and colors and this allows for great mix and match capability with baby’s outfits on a daily basis. The cotton used in this cap is super soft and keeps the baby extremely comfortable. The baby hat is made out of super soft cotton. The baby hat is available in beautiful patterns and colors. The baby hat is machine washable. It might not have anti-shrink characteristics. The 8 Pack Unisex Baby Beanie Hat from DRESHOW BQUBO has been designed and constructed to provide a wide range of alternatives to the parents of the babies to mix and match the colors to the baby’s outfit on a daily basis and use the most matching and appropriate hat that goes the best with the garments. The product is 100% branded. Its manufacturer is well-known for its fashionable products. The 8 Pack Unisex Baby Beanie Hat from DRESHOW BQUBO is constructed out of cotton and the knit makes it extremely durable and soft. It lasts from season to season and keeps the baby warm and cozy. It is highly breathable and absorbs sweat from the baby’s head besides enabling adequate air circulation which wicks the moisture away from it. The hat is also very soft on the sensitive skin of the baby’s head and keeps it very comfortable throughout the day. 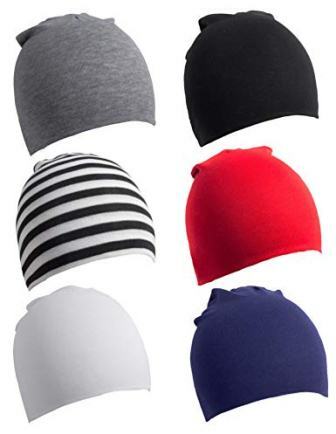 The 8 Pack Unisex Baby Beanie Hat from DRESHOW BQUBO is not to be washed in a washing machine. However, there is no need for any expensive cleaning methods like dry cleaning, etc. as it can be easily washed by hand using cold water. Hot water and the use of leach or chemical detergents are not recommended lest it should cause damage to the baby hat’s fabric. After washing, it can be air dried. It keeps its strength and durability after several ‘wash and dry’ cycles. The 8 Pack Unisex Baby Beanie Hat from DRESHOW BQUBO can be used as a gift on such special occasions as Christmas or Thanksgiving, etc. It has got a high level of stretchability and it can give a nice and snug fit on the baby’s head to make it very comfortable but not too tight. It is made available to the purchaser with a 90-day satisfaction guarantee. The baby hat is made out of cotton and is very durable. It is available in many colors to enable the ideal mix and match. The baby hat is easy to maintain and clean. The Toddler, Infant Baby Cotton Kids Hat Beanies Cap from Zando has been designed and constructed as a very flexible and soft baby cap with an extra-soft feel for the baby’s sensitive skin. It can be used by infants and toddlers in the age range of 1 to 4 years old. It has been designed in many different colors as well as it is available in patterns which allow the parents to easily match it with the outfit of the baby on several different occasions. 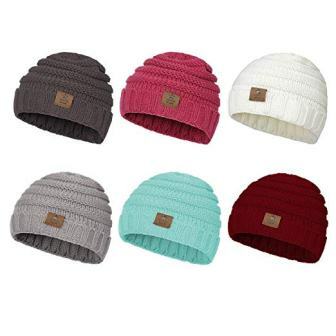 The Toddler, Infant Baby Cotton Kids Hat Beanies Cap from Zando has been constructed out of very high-quality cotton which makes it highly breathable and at the same time, very strong and durable. The baby hat is also extremely comfortable and is extremely soft on the baby’s skin. It absorbs sweat from the baby’s head and wicks away the moisture to keep the baby dry and warm. 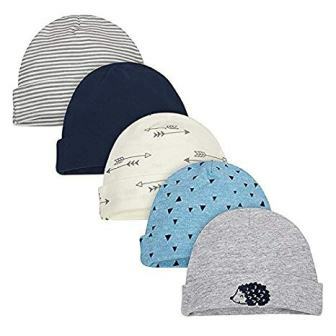 The Toddler, Infant Baby Cotton Kids Hat Beanies Cap from Zando does not require to be dry cleaned and there is no need for any other costly cleaning method as well. It can be easily hand washed in cold water. The user should avoid the use of either hot water or chemical detergents and bleach in order to avoid any possible damage to the fabric of the baby cap. The baby cap can then be air-dried. It has the capacity to maintain its softness as well as a strength after being washed and dried several times in the season. The Toddler, Infant Baby Cotton Kids Hat Beanies Cap from Zando is highly functional but at the same time, it is very fashionable as well. Its different colors make it easy for it to be used with many different baby garments on a daily basis. The pack also serves as a great gift on occasions such as Christmas or Thanksgiving, etc. 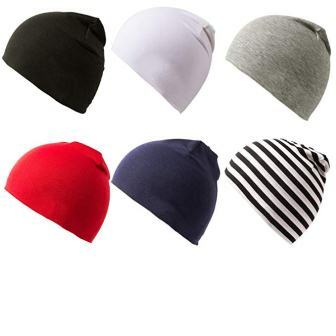 The baby cap is highly breathable and extremely durable. The baby cap is functional and fashionable at the same time. It is very easy to maintain and can be easily washed by hand. It does not cater to newborns.